One lucky Sterling couple is a $1 million richer this Valentine's Day. 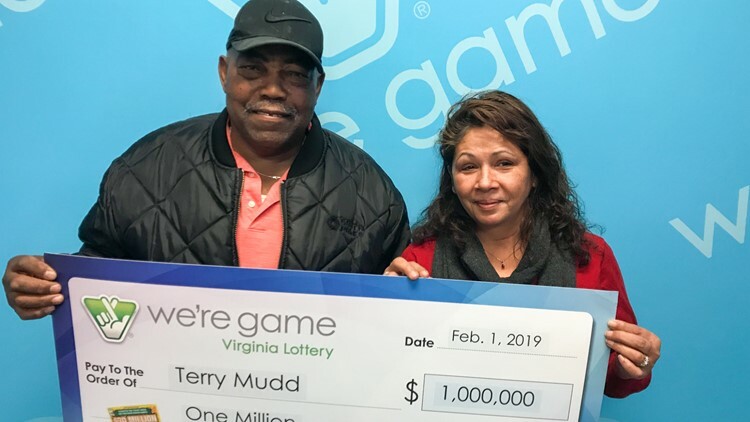 STERLING, Va. — A local Virginia couple from Sterling is getting more than just chocolate and flowers this Valentine's Day after winning $1 million in the lottery. Terry Mudd usually forgets to pick up at least one of the items on his wife's shopping list. Luckily the man turned around to get the item and happened to pick up a $30 million cash out ticket from the Virginia Lottery. As luck would have it, he scratched the ticket and discovered that he had bought the game's $1 million top prize. Mudd decided to surprise his wife with the ticket as a Valentine's Day present. Mudd gave his wife the information a little early and gave her the ticket inside of an envelope labeled as "Terry + Madonna's retirement." The pair decided to opted to take the cash option of $657,030 before taxes. The Mudd just bought an RV and say they plan to travel throughout the country.The couple doesn't planning on retiring just yet.